Yes yes yes! I always love pattern launch days. It’s just such an awarding feeling after so much work. 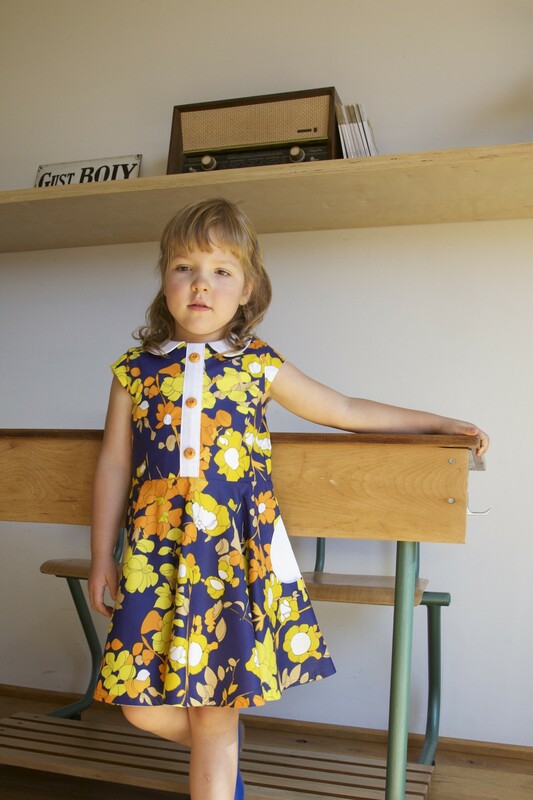 Today I can present you the Ileana dress pattern. It’s available on paper or as a PDF pattern. You can go straight to my shop or have a close look at the options again. So let’s try to explain you as detailed as possible what you can expect from my new pattern… Are you ready? 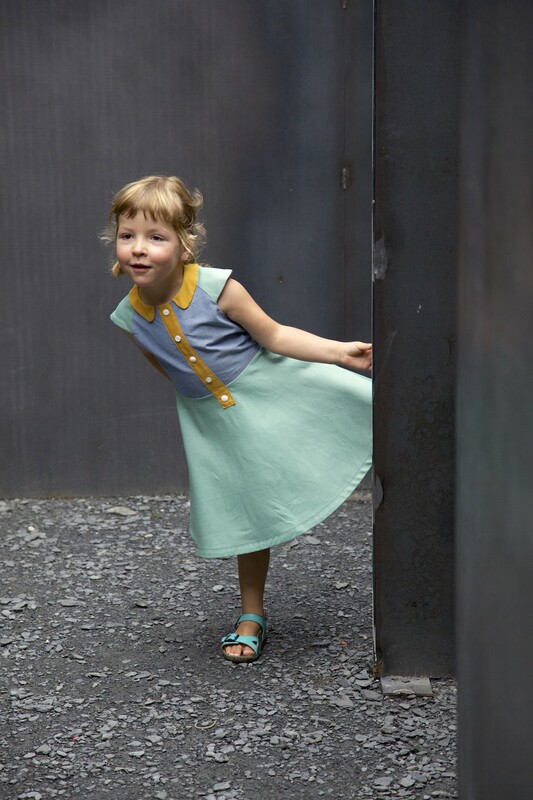 The Ileana dress by Compagnie M. is a vintage pattern with a fitted bodice combined with a full or half circular skirt. 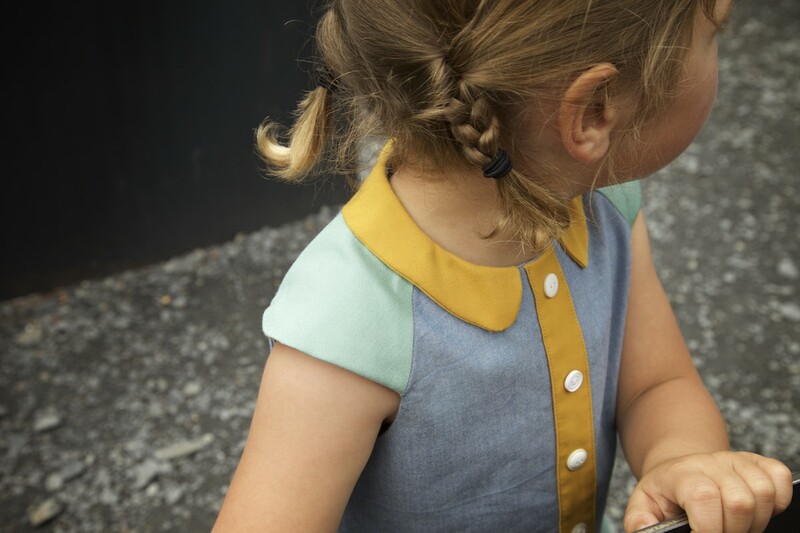 Choose between a raglan or regular bodice, four types of sleeves, three pockets, four collar and three faux button placket options. 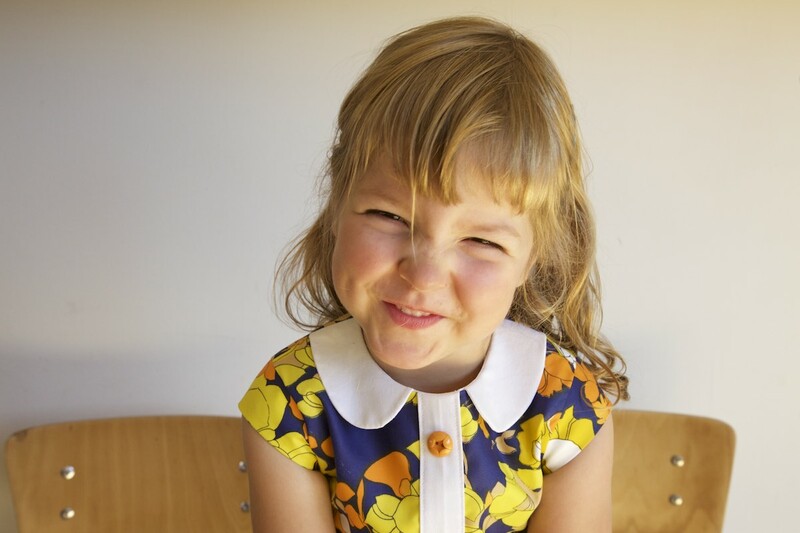 You also have several possibilities to mix the pattern pieces with the Louisa dress, the Mara blouse and the Lotta dress. So there I’m showing you some options. You can start from the raglan bodice or from the regular bodice. In fact I started developing this pattern with the raglan bodice, but added the regular one to stimulate the interchangeability with my other patterns. 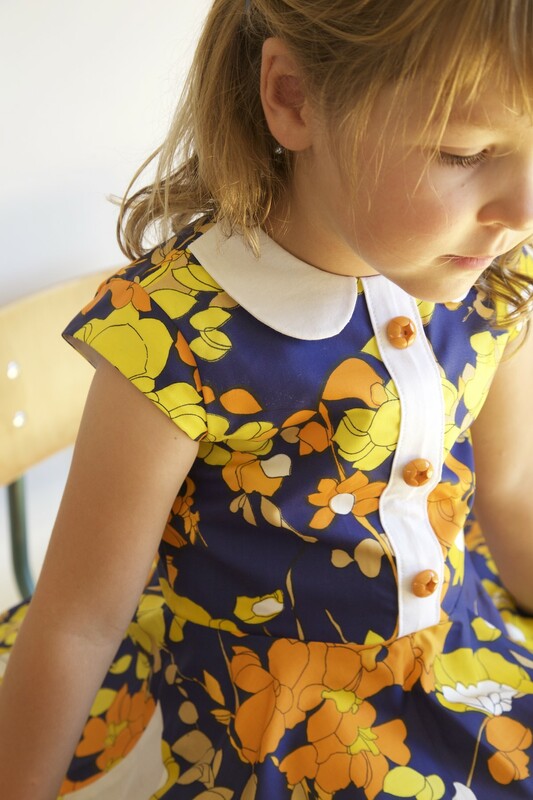 You can add the Louisa dress sleeves or the ones from the Mara blouse too. This way you have 6 sleeve options in total: the cap sleeve as shown above is included. The other options are the 3/4th sleeve, the flutter sleeve, the butterfly sleeve, the long sleeve or sleeveless. That’s a good start, right? When you choose the raglan bodice, you can add a short sleeve as the one above, or the half raglan sleeve like the one below. 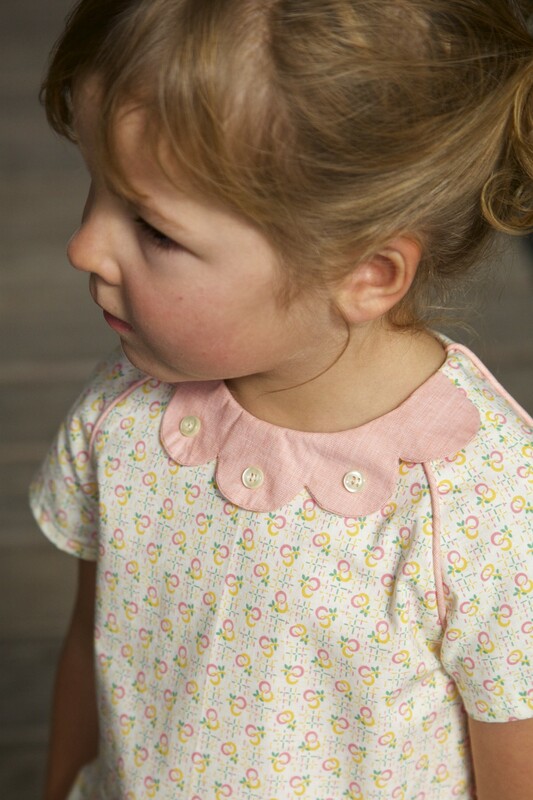 You can choose a long, short or bodice length button placket. It’s in fact a faux one. 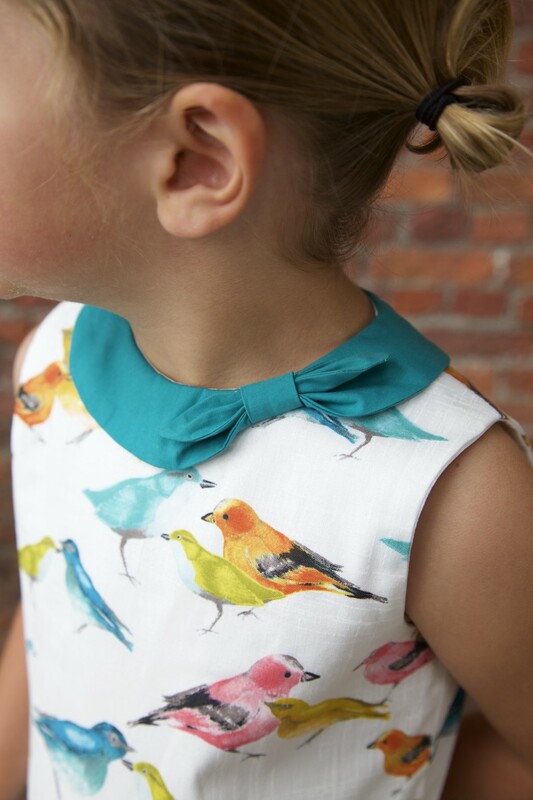 Easy to sew, with a beautiful result guaranteed! And of course I included pockets. Three options: you can add some in the side seam, I have drop shaped ones and triangular ones. These perfectly match with the corresponding collars. And last but not least, you can choose between a full or half circular skirt. 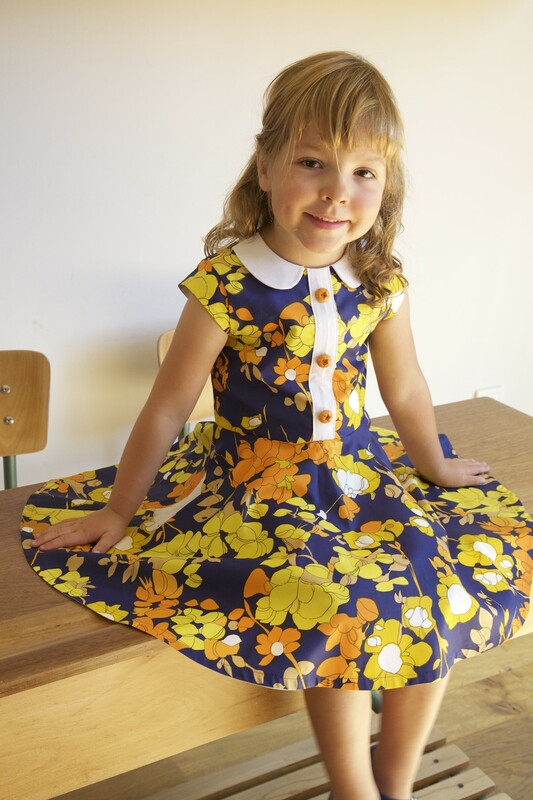 And if you want, you can also add the gathered skirt piece from the Lotta dress. With or without Lotta dress pockets. Options wise, I think that’s about it. When you have the Mara blouse, the Louisa dress, the Lotta dress and this one, the possibilities are endless. In September I will try to show you some mix & match options. But first we will be going on holiday. :) In the meanwhile we have trained a student, Britt, to send your orders while we are abroad. This means our shop doesn’t close! 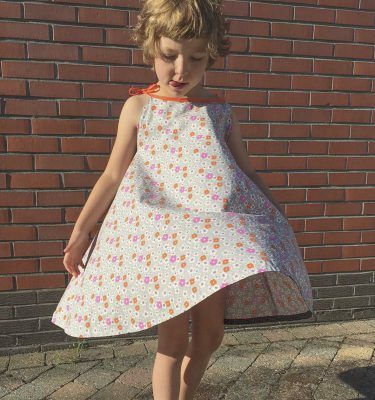 So when you hop over to our shop, you can buy the Ileana dress pattern with a 10% reduction with this code: ILEANA10 It’s valid till the 11th of August on both the pattern and PDF pattern. And last but not least, a great pattern tour starts today. About 36 seamstresses will share their Ileana interpretations. I will add the links to their blogposts on my Facebookpage. Love the dress Marte and I am already looking forward to you mix and match games! Congrats on yet another beautiful pattern. Wishing you all the best for the pattern launch! I will show several dresses by the testers with more pocket options! Waow!!!!! I just love it! Well done! Congratulations! Alweer een heel knap patroon marte! Het wordt absoluut een topper! Gefeliciteerd, daar is ze dan! Ik denk dat dit mijn basispatroon voor jurken wordt; zo eindeloos veel opties, daar ben ik nog lang lang niet op uitgekeken! oh dat hoor ik graag: dat basispatroon klinkt top. :) Ik ben benieuwd naar je toekomstige versies dan! Ik ben helemaal fan van al jouw patronen maar deze is voor mij toch een ware topper. De opties zijn inderdaad eindeloos. Proficiat! Bedankt! De opties zijn inderdaad wel uitgebreid. Ik heb het ervaren bij het uittekenen en het schrijven van de instructies. Maar het was het absoluut waard! Ik ben fan fan fan! I really wish that the pdf was an option without the paper pattern. I added it to my cart but the total was almost $30.00 US dollars with shipping. Will this come available as a pdf stand alone? Thanks! OOPS!! Just found the pdf sales…..disregard the previous comment. Thanks for a lovely pattern, I just purchased it. Proficiat, Marte, met weer een toppatroon! Bedankt Eva! En moest het je interesseren: ik krijg KEIveel mails van tienermoeders die om een grotere maat smeken. Hint hint! Knap gedaan Marte! Nu heb je je vakantie wel dubbel en dik verdiend! Proficiat met de lancering, Marte! Ik ben instant verliefd geworden op dit patroon, het is echt geweldig.